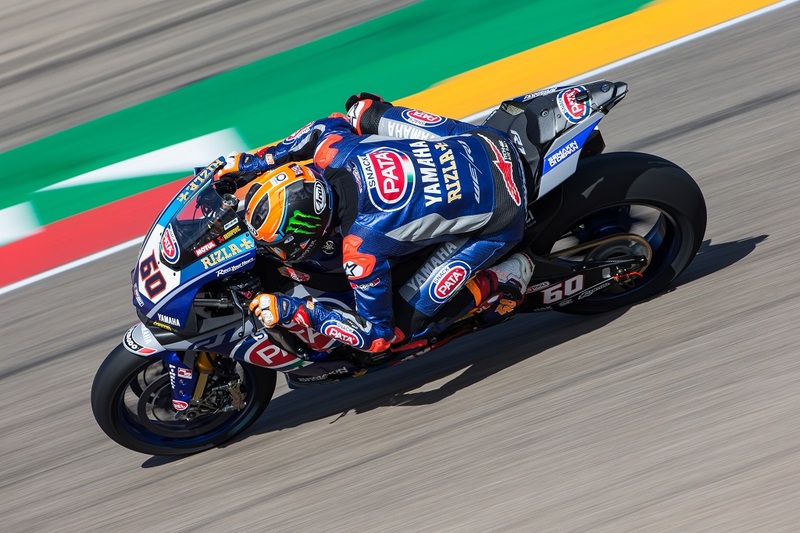 Michael van der Mark has scored an eighth place in today’s second race of the WorldSBK at Aragon. Van der Mark’s Race 2 was hampered by having to start from the fourth row of the grid, following the incident with Michael Rinaldi at turn one in the Superpole Race. Because of this crash he ended the Superpole Race in 15th place. Despite this setback, Michael lined up at the start of Race 2 confident he could fight his way through the field and into the battle for the podium, as he did in Race 1 yesterday, but this time his progress was slowed by front-end chatter. Van der Mark was left with little option but to ride around the problem and pick up valuable points with eighth place at the finish. Van der Mark remains fourth in the series standings with 79 points, five more than fifth-placed Leon Haslam.